Are You in the Back to School Spirit? I certainly am! I don't know if it's the colder weather or the stew in the crockpot... or the warm blankets piling up on my sofa... or the stormy skies and orange leaves... ahh. All I want to do is curl up with some good reading, by a cozy fire, for a few hours. Willows East Articles That May Interest You! 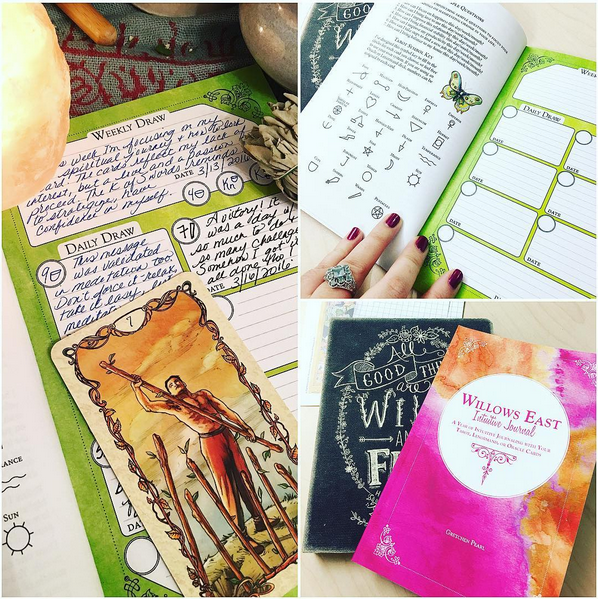 The Willows East Intuitive Journal can be used to log a year full of card drawings!